Hid eminence with Humaim discussed latest developments in the cultural, political and societal situation and challenges facing Iraq. His eminence indicated that Iraq has taken great steps in community harmony, and called for intensive efforts to consolidate this harmony, and urged religious institutions to take their role in this issue in coordination with other social and political activities. 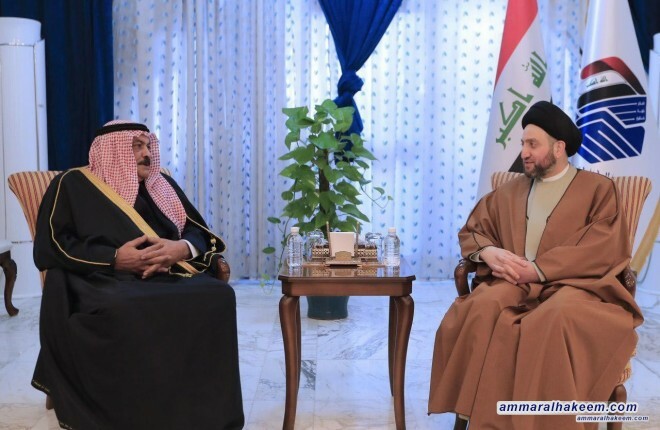 Sayyid Ammar al-Hakim also stressed the importance of Islamic unity and that Iraq should be proactive and initiative with the necessity of coordinating and crystallizing stands to address crucial Islamic issues.